Buying skateboards online is not easy. Since you can’t touch the skateboards and get a feel for them, you have to basically decide based on the dimensions given. 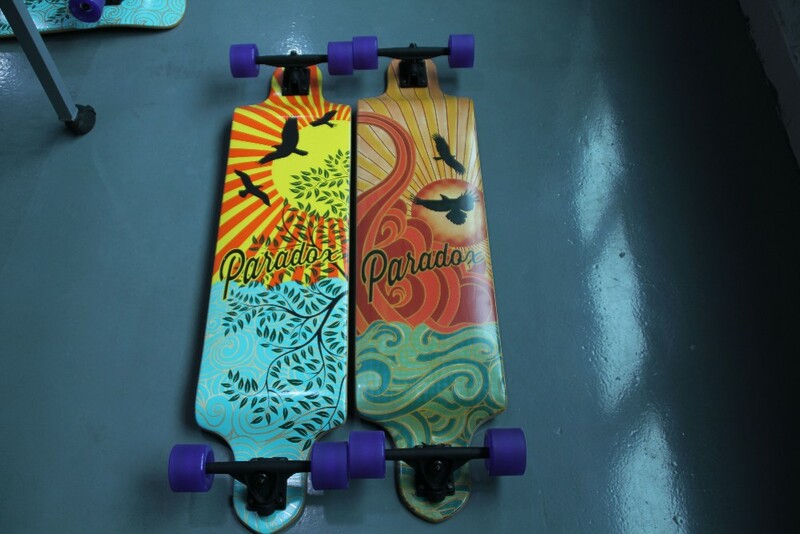 But you can use the information provided in the description to good use if you already have a good idea about the kind of longboard skateboard that you want. Here are some factors on which your decision will depend. Are you a novice or an expert? The type of skateboard you choose will depend largely on your ability to handle it. A board that is suited for an expert will clearly not be good for you. Be realistic about your capabilities, that way you can get more fun out of skateboarding. A beginner’s board is better suited for a novice, and once you become more comfortable with skating, you can progress to the next level and buy a new board suited to that level of expertise. Do you want to cruise on the streets and the sidewalks without taking too many risks? Or do you plan on bombing hills and jumping over ditches and fences? For doing different things you will need different boards, so start up by buying a board suited to a style that you are most comfortable doing. There are two types of board shapes; uni-directional and symmetrical. Directional boards are constructed in such a way that they go only in one direction. A symmetrical board looks and feels the same regardless of which way it is facing. They are most suited for spins and freestyling. Deck styles decide the stability of a longboard; there are a few different types of deck styles and each of this have a different speciality. Top mount, drop through, drop deck and double deck are the most commonly used deck styles. Of these, the top mount is the most versatile. If stability is your main concern then buy a board which is lower and stays close to the ground. This will translate into lower center of gravity and more stability. However, you might bottom out on tight turns.